When summer arrives, Lake Lure kayaking adventures are the best way to explore Western North Carolina. Whether you’re a seasoned athlete or beginner, there is a kayaking experience for every level of paddler. Read on to learn about the area’s top places for water sport rentals and paddling tours. Afterward, find more ways to continue your Lake Lure adventure in our free Chimney Rock/Lake Lure Vacation Guide. Our guide has helped so many people plan the perfect summer getaway! Get yours for recommendations on breweries, restaurants, hiking trails, and more. Make your way to Lake Lure Adventure Company for a family-friendly kayaking tour on Lake Lure. Here, you’ll find kayak, paddleboard, and boat rentals. You can have your kayaks delivered anywhere on Lake Lure! Guided fishing trips, wakesurfing, wakeboarding, tubing, and waterskiing are also available. To make the most of your trip, we recommend choosing two to three of these activities to create a fun-filled day on the lake. To make your reservation, give Lake Lure Adventure Company a call at (828) 625-8066. Experienced kayakers will find their next big adventure on The Green River Narrows. This American whitewater creek requires finely honed paddling skills. However, if you are looking for a beginner-friendly adventure, other parts of The Green River offer plenty of options and variety. Another great way to experience The Green River is with Green River Cove Tubing. 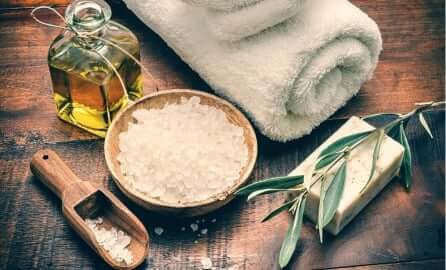 This locally-owned business offers an amazing opportunity to see the Blue Ridge Mountains from a unique perspective. For a full day on the river, you can expect to spend only $14! Read our blog on Green River Cove Tubing to find more tips for your trip. 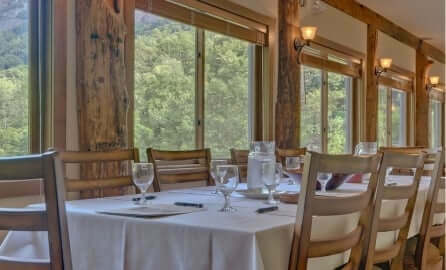 The Rocky Broad River is one of Western North Carolina’s best-kept secrets, and you won’t need to travel far to find it when you stay with us at The Esmeralda Inn & Restaurant. Many of our properties, like the Rocky Broad River Cabin, offer easy access to this grand river! The Rocky Broad River is an oasis for trout fishing, tubing, and paddling. For a relaxing day, take a seat on one of the many large, smooth boulders to sunbathe and dip your toes in the water. The river is within walking distance of Chimney Rock Village, where you’ll find a handful of local cafes. 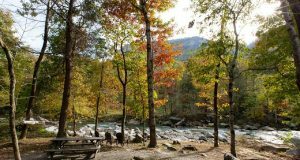 Picnic areas along the river are the perfect place to enjoy lunch and take in Western North Carolina’s endless mountain views. 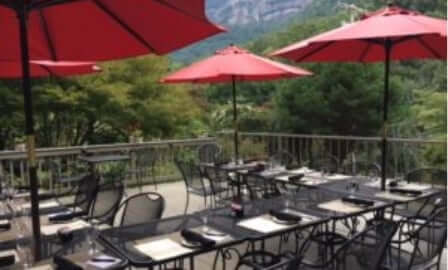 After a day of kayaking on Lake Lure, head home to The Esmeralda Inn & Restaurant for the ultimate summer getaway. Unwind for the evening at our award-winning restaurant, The Esmeralda Restaurant. Here, you’ll find an extensive menu filled with local craft beer and classic Southern-style dishes, made from only the freshest local ingredients. Afterward, rest your head in the Rocky Broad River Cabin. Outside your windows, you can enjoy beautiful views of the Rocky Broad River cascading over rocks and boulders. This cabin features two bedrooms, two full bathrooms, a kitchen, a living area with DirecTV, and a covered outdoor porch. Complimentary breakfast is always included with your stay! 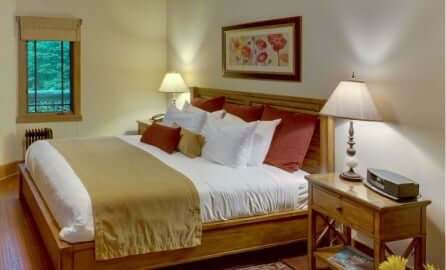 If you are ready to plan your next summer getaway, check our availability and book your stay. We can’t wait to host you at The Esmeralda Inn & Restaurant! For more help with planning your Lake Lure vacation, remember to download your free vacation guide.